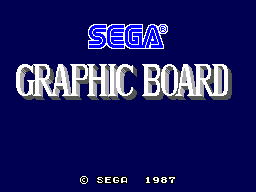 The Sega Graphic Board v2.0 is the software for Sega's unreleased graphics tablet peripheral for the Master System. More info here. This page was last modified on 21 May 2016, at 01:09.